Many changes are set to take place in Florida workplaces in 2017. For example, in November, Florida voters legalized the use of medical marijuana for those suffering from specific conditions—such as HIV/AIDS, cancer, epilepsy, Parkinson’s disease, etc. In addition, Florida also increased its minimum wage, up to $8.10 as of January 1st. It is important to take note of these changes–and others coming–in order to ensure that employers are complying with Florida labor law. This new law can affect employee and employer rights in various ways, for example, policies related to drug testing, reasonable accommodations in the workplace, previous drug-free workplace policies, etc. What many do not realize is that this includes the (eventual) right to use marijuana medicinally in the workplace; however, the law (Amendment 2) failed to specify how employers can specifically ensure that they are complying with the law. Technically, the Florida Department of Health has until July of 2017 to issue regulations to provide guidance for how employers can ensure compliance. Until then, employers are not technically required to allow employees to use marijuana medically in the workplace, even if those employees technically fall under Amendment 2’s requirements. Florida increased its minimum wage (up to $8.10) as of January 1st and this increase also applies to employees who receive tips, such as those in the service industries. Employers must provide these employees with at least $5.08 per hour (in addition to any tips they earn). In 2016, the government demonstrated that it is increasingly concerned about gender and sexual orientation discrimination in the workplace. This doesn’t just include the federal government: Municipalities and counties throughout Florida have enacted laws specifically prohibiting employment discrimination based on gender identity or expression. These laws carry with them obligations on behalf of Florida employers in terms of training supervisors, updating employee handbooks, and other obligations. Recently, an arbitrator ruled that one employer unlawfully discriminated against an employee when it informed the employee that it needed to conform to the gender listed on the employee’s driver’s license. In addition, the U.S. Supreme Court will soon hear a case involving transgender bathroom rights in public schools. Other changes likely coming as the result of a new administration. If you fail to receive overtime or the proper minimum wage, or suffer from other labor law violations, you are protected by the law. 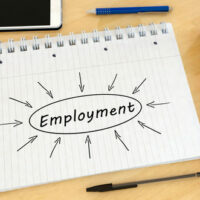 If you work in Florida and you have questions about your current employment status and/or any of these changes going into effect this year, please do not hesitate to contact the office of Robert S. Norell, P.A., Florida employment lawyer. We are here to serve our clients in Plantation, Broward, Miami-Dade, and surrounding areas.